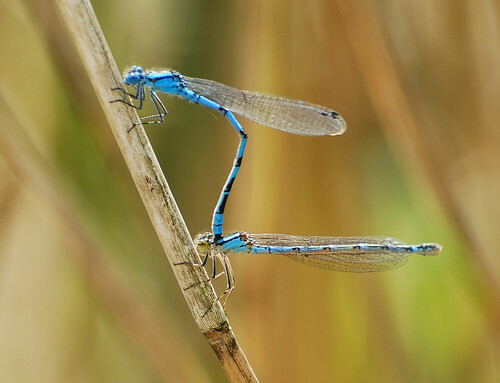 This entry was posted in Anisoptera, Chaser dragonflies, Countryside walks, Damselflies, Dragonflies, Hawker dragonflies, Insects, Milton Country Park, Walks around Cambridge and Histon, Zygoptera and tagged Anax imperator, Anisoptera, azure damselfly, blue tailed damselfly, Brachytron pratense, Cambridge, Coenagrion puella, Coenagrion pulchellum, common blue damselfly, damselflies, developmental biology, dragonflies, emperor dragonfly, Enallagma cyathigerum, four-spotted chaser, Grantchester Meadows, hairy dragonfly, Ischnura elegans, large red damselfly, Libellula fulva, Libellula quadrimaculata, milton country park, Pyrrhosoma nymphula, scarce chaser, variable damselfly, Zygoptera. Bookmark the permalink. 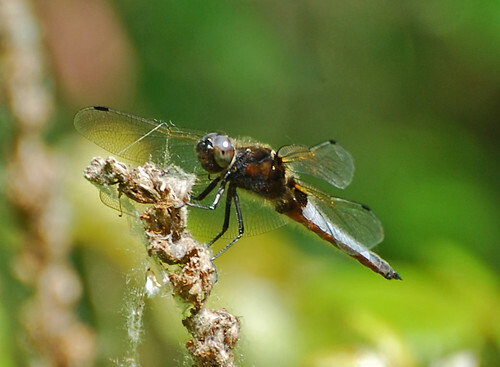 Question, we went punting yesterday and there were quiet a few dragonflys zipping about the Cam/Granta, indeed some real big old boys, and someone raised the question of what the difference was between a dragon and a damsel fly. I don’t know but I said I knew a man who would, so is there a concise distinction? 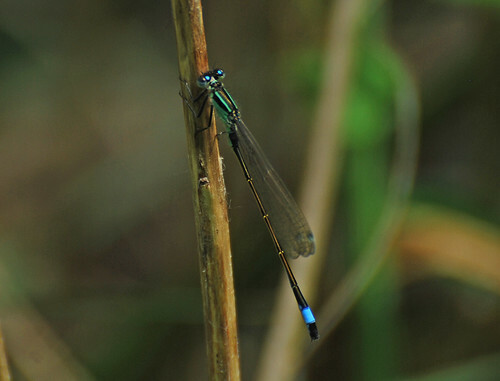 Damselflies (Zygoptera) and dragonflies (Anisoptera) are the two members of the order of insects called Odanata. 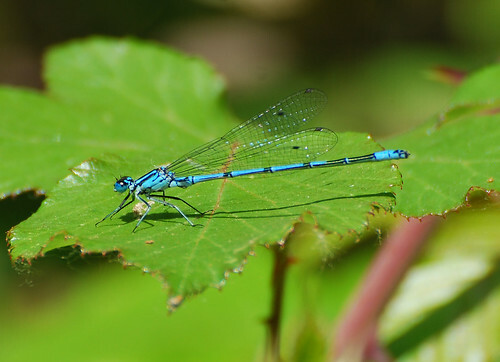 Damselflies are the smaller, thinner ones, with abdomens up to around 3cm long and 1-2mm wide. 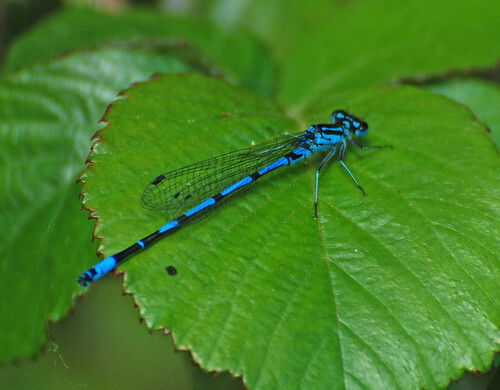 Dragonflies are much bigger and have abdomens up to around 60mm long which have various shapes from long and straight to shorter and tapered. 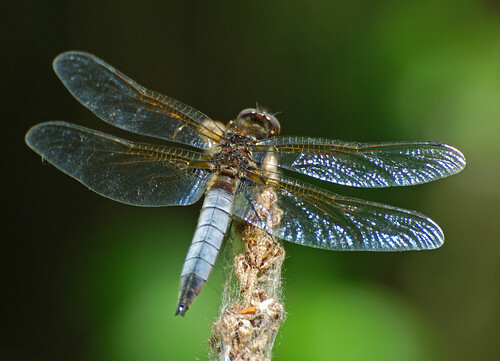 Your ‘real big old boys‘ were almost certainly dragonflies. 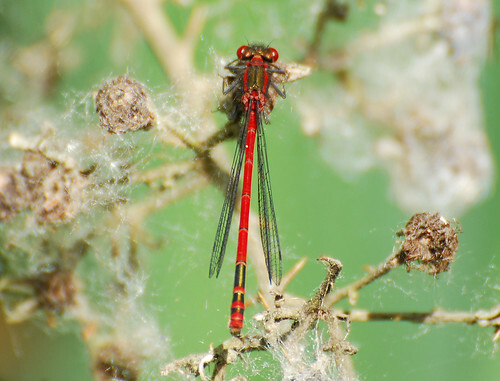 The easiest discerning visual feature is the shorter thinner abdomen of the damselflies. 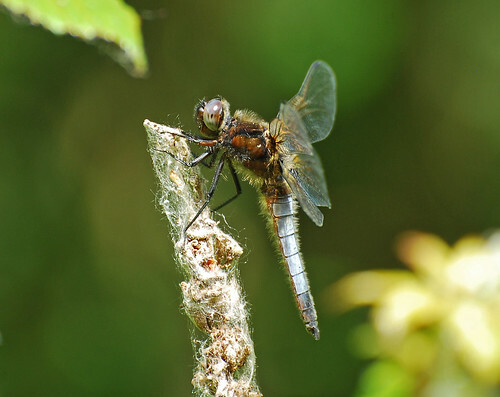 If you have a look at the post ‘Dragon Hunt’ from 23rd May this year there are some photographs which highlight the differences.